Sadio Mane refused to criticise the officials who mistakenly ruled out a legitimate goal in Liverpool's 1-1 draw with Arsenal on Saturday, as he also offered an update on his contract situation. In the first half of the game at the Emirates Stadium, Roberto Firmino had a shot from close range which hit the post and deflected back to Mane, who tapped it in. The goal was ruled out despite Mane being in an onside position when the shot was taken. There has been uproar among ​Liverpool fans about the decision, but ​Mane admitted that these things even themselves out over the course of the season. 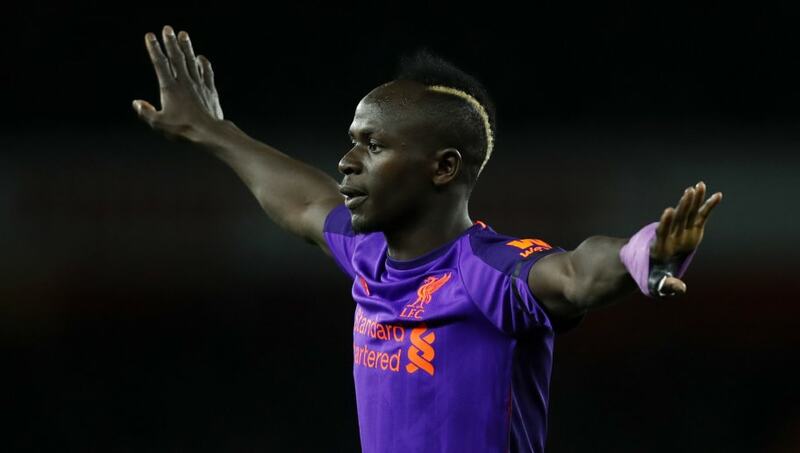 "I haven't watched it back and to be honest I'm someone who is not really interested in this kind of thing," Mane said, quoted by the ​Liverpool Echo. "If you remember, when I scored a goal against West Ham earlier in the season I was offside and that goal counted. "So if this time I was onside and it didn't count then you just to deal with it and accept it. Officials are human beings and sometimes we all make mistakes." Mane was also asked about his contract. His current deal runs until 2021 but unlike fellow forwards Mohamed Salah and Roberto Firmino, he has not recently agreed an extension. However, the Senegal international said he was only focused on playing his game and letting his agent take care of the rest. "I am more focused on the games, things like contracts I leave with my agent," he said. "I am happy and concentrating on giving my best for my team-mates, my manager and the fans."